Lagos: Jihadist group Boko Haram released 21 kidnapped Chibok schoolgirls to the Nigerian government following a prisoner swap, an official in the president's office said Thursday. 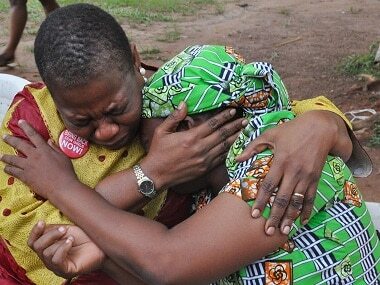 The Chibok girls were released as part of a prisoner swap deal struck between Boko Haram, the International Committee of the Red Cross and the Nigerian and Swiss governments, said official and local sources. "The release of the girls... is an outcome of negotiations between the administration and the Boko Haram brokered by the International Red Cross and the Swiss government," Shehu said. "The negotiations will continue." "The girls were brought to Kumshe, which is 15 kilometres (nine miles) from Banki where a military base is stationed, in ICRC (International Committee of the Red Cross) vehicles," said a source. 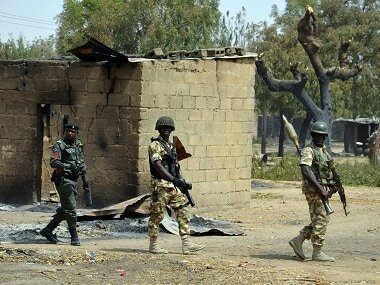 "The four Boko Haram militants were brought to Banki from Maiduguri in a military helicopter from where they were driven to Kumshe in ICRC vehicles." From Kumshe, the Chibok girls were taken by helicopter to Maiduguri, the capital of northeast Borno state. 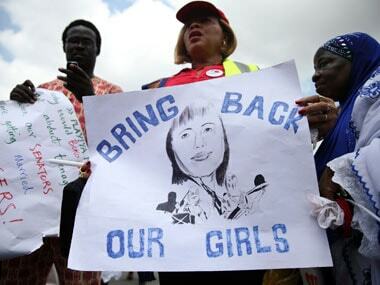 "The 21 (Chibok) girls arrived (in) Banki around 3:00 am (0200 GMT) where they found a military helicopter waiting. They were immediately ushered into the helicopter and flown to Maiduguri," said another source. The identity of the girls has yet to be confirmed, said Bring Back Our Girls campaigner Aisha Yesufu. "We cannot confirm anything yet," Yesufu said. Over 200 girls were captured from the northeast Nigeria town of Chibok in April 2014 by Boko Haram militants as part of their fight to establish a fundamentalist Islamic state in the region, drawing global attention to the jihadist insurgency.